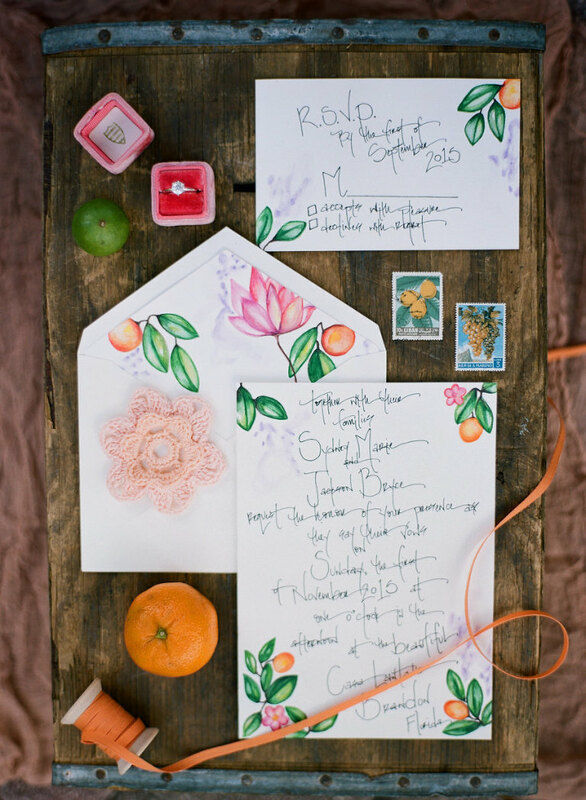 With it’s lively color palette, whimsical watercolor invitations and vintage wedding rentals, this citrus styled Tampa Bay wedding shoot will brighten your day! 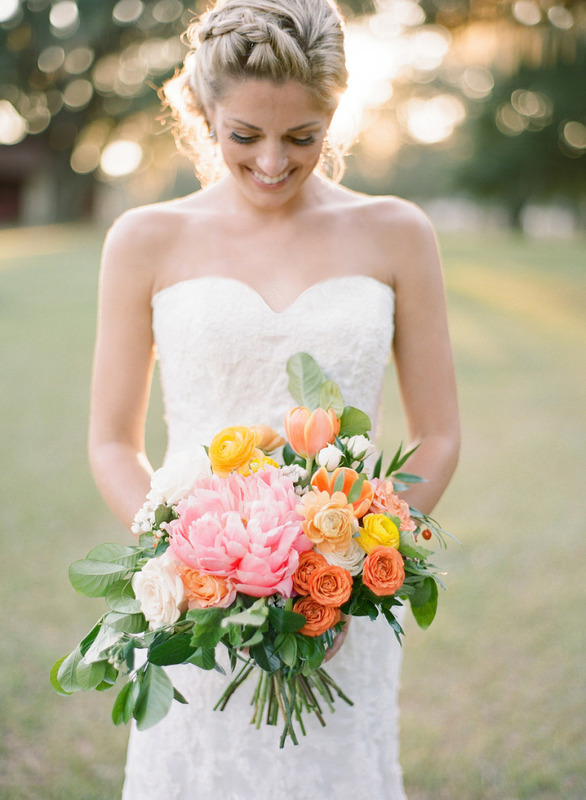 “This shoot was initially inspired by a row of coffee mugs and a brunch wedding, but grew into a love of Florida oranges,” Tampa wedding photographer Emily of Emily Katharine Photography explained. With her styling talent and unique rentals, Becky Daly of Tufted Vintage Rentals brought this Florida inspired wedding to fruition. “I really played up the vintage elements, using mis-matched chairs and soft touches throughout. I also focused on the brunch theme by creating a nook and unique brunch inspired signature drinks, perfect for a daytime soiree,” Becky shared. 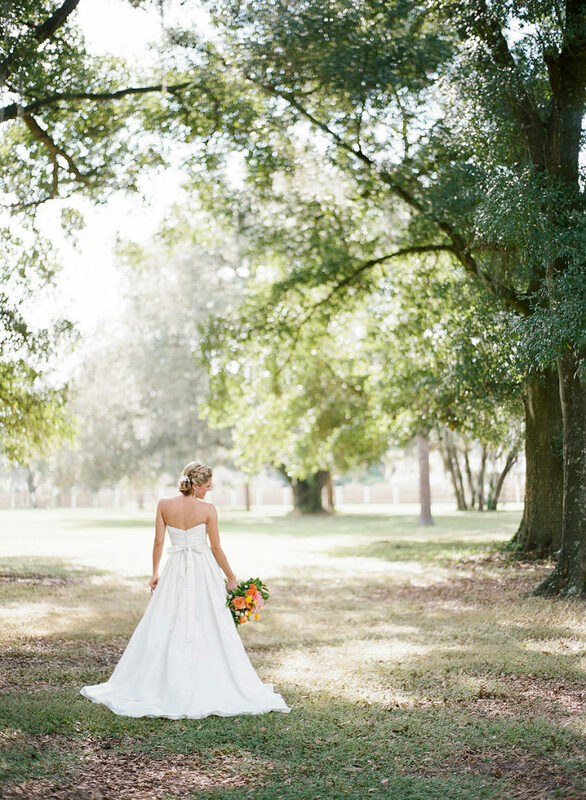 The ceremony site featured vintage wooden chairs under the venue’s Spanish moss tree, while the aisle was adorned with citrus crates overflowing with flowers in milk glass. Tying in the orange theme, the reception tablescape featured sliced citrus alongside vintage milk glass filled with colorful floral arrangements. 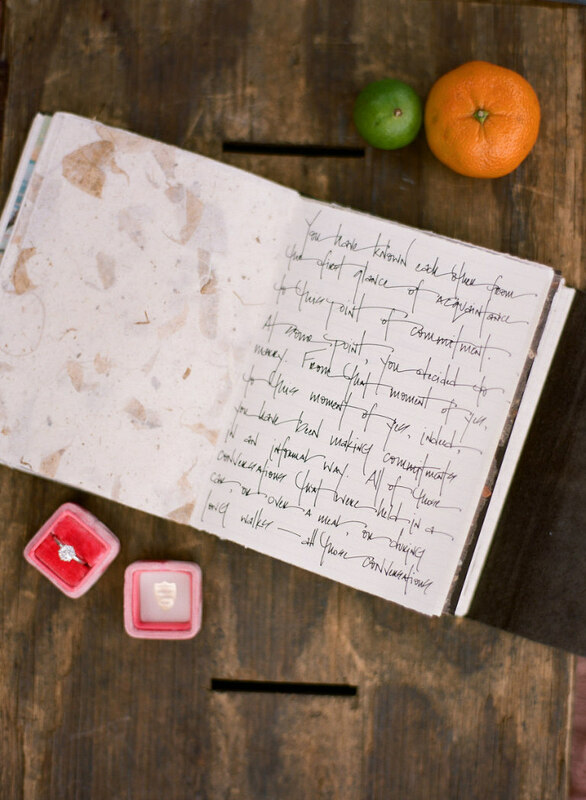 The guests’ place cards were held by tangerines and placed next to handmade favors of biscuits wrapped in citrus netting and sticky marmalade. “We chose vibrant colors in the citrus family: oranges, peach, pinks and yellows to complement the playful, summer vibe,” Becky added. One of the most unique elements of the shoot was the hand-painted wedding cake and doughnuts. “This inspiration would not have been complete without the perfect pastry sweets! Not only did the cake decorator make these donuts, she painted them and hung from a vintage bottle rack, such a perfect idea!” Emily gushed. Venue: Please inquire | Photography: Please inquire | Flowers: $1,500-2,000 | Invitations: $800-$1,000 | Vintage Rentals & Styling: $3,000-$3,500 | Bride’s Attire: $1,500 | Groom’s Attire: $250-$500 | Hand-painted Cake and Desserts: $2,000-$2,500 *This estimate does not include all aspects of a wedding such as officiant, catering, favors etc.